Innovative product development undertaken by aerospace engineers and the U.S. Dept. of Defense is now being applied to the age-old problem of cracked and bowing poured concrete foundation walls. Most homeowners understand that foundation cracks and bowing are serious problems that will worsen over time if not corrected. An experienced foundation repair contractor will be able to determine what conditions are causing poured concrete foundation damage. 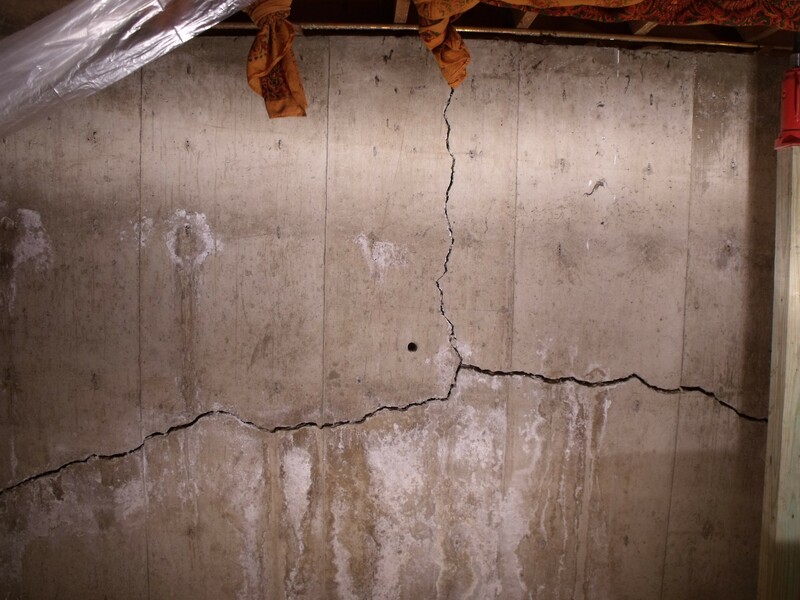 We fix poured concrete foundation problems that cause wall cracks! 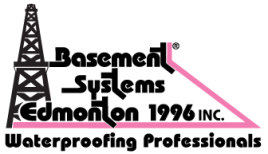 Call us for a free foundation repair quote today! We serve St. Albert, Sherwood Park, Grande Prairie, Camrose, Spruce Grove, Grande Prairie, Fort Saskatchewan, Lloydminster, Wetaskiwin, Leduc and many nearby areas in Alberta. After preparing the interior of the poured concrete foundation wall where the straps will be installed, the contractor will cut the straps to a length that matches the full height of the wall and saturates both the strap and the repair area with high-strength epoxy resin. After adhering the wetted strap into place on the wall, the contractor applies a final topcoat of epoxy resin to the strap. The resulting repair contours tightly to the wall, making it very unobtrusive compared to other repair techniques such as installing steel I-beams. Once the repair is complete, it can be concealed by paint or drywall.